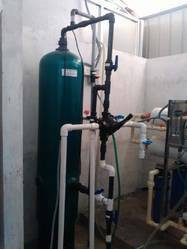 Prominent & Leading Manufacturer from Chennai, we offer mixed bed plants and dm plant. Mixed Bed Plants that are used as a polisher or prior to Two Bed Plant to achieve the pure quality of water for an industrial process. Cat ion and Anion resin is used in mixed condition while in service and are back washed before regeneration for separation. These are charged with acid and alkali using separate distribution and collection system. 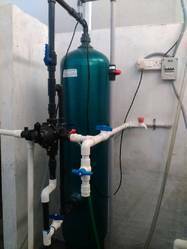 DM Plant that is assembled using two-bed water deionizer and helps in eliminating minerals from water to purify it. These plants consist of FRP/MS Rubber lined pressure vessels that are connected in the form of a series using internal fittings. The first unit of these plants has high capacity, strongly acidic cation that replaces positive ions of salt with hydrogen ions, resulting in the formation of varied respective acids. Clients can avail these plants from us at market leading prices.